The companies who give us the confidence and peace of mind to warrant our claim that we use only The Best air conditioning systems on the market. Since 1956, Temperzone has been designing, developing and manufacturing ducted air conditioning units that have earned an unbeatable reputation in commercial applications. Actron Air is Australia’s largest locally owned air conditioning manufacturer, and for over 30 years we have been innovating to produce the best, most energy efficient products possible, specifically designed to operate in Australia’s unique climate conditions. With one of the widest product ranges available, we are sure that you will be able to find the right solution for your need. Daikin is a world leader in air conditioning technology. Headquartered in Japan, Daikin has been combining research and development in the fields of mechanis, electronics and chemistry for nearly 80 years to produce air conditioning products that are practical, efficient, quiet and economical. Founded in 1972, Climate Technologies Pty Ltd has grown to be one of Australia’s leading manufacturers of residential and commercial heating and cooling appliances and commercial air distribution products. 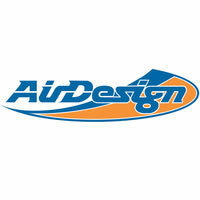 Air Design manufacturers Australia’s unique Modutherm range of central plant air conditioning and can coil equipment. We also distribute the Fantech and Fantech Plus range in Queensland, Northern Territory and Papua New Guinea and the RC Group of Chillers and Precision cooling equipment for the Australian Pacific Region. 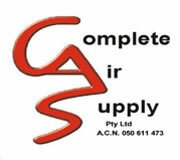 Complete Air Supply (CAS) is committed to supplying personalised service with the convenience of an extensive, quality product range of air conditioning flexible ducting, sheet metal fittings, cushion boxes, grilles, diffusers, copper, zoning and accessories to the air conditioning industry. We are able to give knowledgeable advice on all the products you may find at our partner companies' websites, so please feel free to contact us if you have an enquiries. We can also supply all of their products at a great rate, so get us to quote for you.